Over the past 10 years I’ve worked closely with both creators and music artists as part of a boutique, music-focused multi-channel network and digital agency. 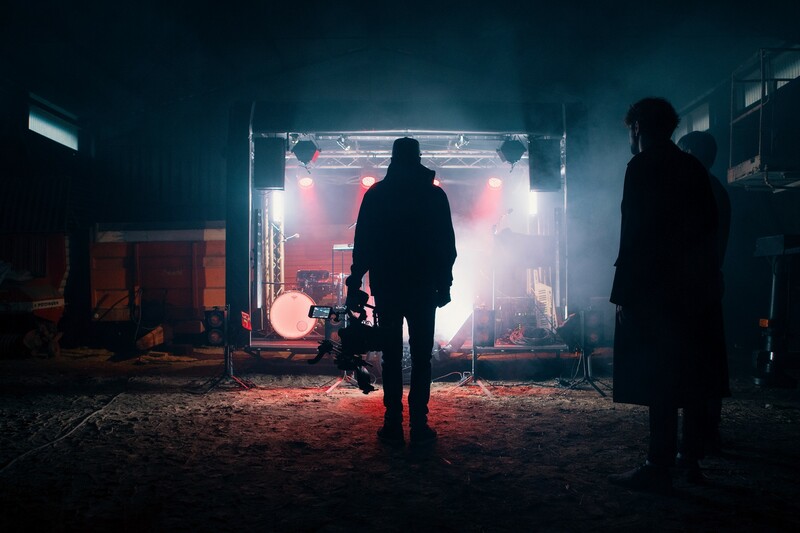 I’ve seen the difficulties each creative has encountered in furthering their careers, whether it be in creating better video content or getting their music discovered. These are artists who understand the value of featured placement in creator videos — the chance to be discovered by new audiences, to get their music heard. We often see managers and labels reach out asking to pay for these placements, even — the exposure the creators provide is valued that highly. These artists use music as a loss-leader to garner more lucrative revenue streams — the value of an engaged fan who follows them on social media, adds songs to their playlists, buys merch, and attends shows. This is the next wave of free downloads and late show performances — opportunities to utilize exposure and user-generated content as a way to build traction in the marketplace and accumulate stories for press or tour promo. But at the end of the day, for all the emails these emerging artists are blasting out to the thousands of creators whose emails they’ve mined, if the song doesn’t match the vibe or mood of the creator’s video, the song won’t make the cut. So while these email blasts provide a great resource of music for creators, they tend to just pile up and become a messy, unsortable catalog of song options to use another day, in another video. And then there’s the whole issue of creating actual licenses from these emails — will the email permissions granted by the artist hold up legally if for whatever reason the creator runs into a claim issue, video takedown, or even worse, lawsuit from the copyright owner? Most creators don’t know where to start when it comes to obtaining proper licenses for using songs in their videos. The common logic is to reach out to the artist (or even just the uploader of the song on SoundCloud) for permission, who may say “go ahead, that’d be awesome! Just give me credit” even if that person doesn’t fully control the master recording or publishing for the song. Or perhaps the song contains a sample or is a remix or cover of another song and the artist giving permission doesn’t disclose that they don’t even have their own licenses for the materials in the song. I’ve seen this happen a lot unfortunately, and it usually ends with the creator having to remove their video or lose monetization as a result of an audio claim. These creators may ‘beat the system’ (aka Content ID) for a few days, but in the end, they’re leaving themselves open for audio claims, loss of monetization, video takedowns, and even lawsuits with these “cheats” of the system. I’ve seen it happen to some high profile creators over the years and it usually ends with the creator having to delete their videos or pay large sums of money to settle the issue with the artists, labels, and publishers holding the copyright. Then there are creators who know they have to play by the rules and do their diligence in securing clearances for the audio used in their videos. They utilize some free resources like YouTube’s Audio Library, but often spend way too much time tracking down the right song to complement the vibe of their video. Or perhaps they turn to affordable stock or production music sites only to be presented with “beat #5” and “feel good tune #32” — songs that may work well as strictly background music, but don’t really add much color or quality to their finished video. Then there are the library sites, which allow for creators to use music from quality artists in their videos — songs that will actually enhance the production value of the creator’s video. Sounds like the perfect solution, right? Well, perhaps if the creator doesn’t intend to monetize their video or include any brands in their video (no commercial usages) and they have some money to spend — while some of these licenses are an ‘affordable’ $20+ cost per license (that’s a one-time usage fee), some songs can cost creators at least a few hundred or thousand dollars (again, for one-time usages here). Not so creator-friendly. On top of it all, the time it takes for a creator to hunt down that one perfect song — the song that highlights the best parts of their videos and completely matches the vibe of their video — that usually costs the creator at least a couple hours of their time for each video they publish. They are often left sampling hundreds of songs, from the ones delivered to their inboxes by up-and-coming artists to beat #5 to that pretty great, but really expensive song from a music library. And on the other side — say a creator decides to use that song she was emailed last year from the independent music artist looking to have his music featured. How will that artist know his song has been placed in the creator’s video? Or if the creator included the requested music credit? Or perhaps the creator decides to license a song from a production or music library — is the artist aware of how and where his music is being discovered outside of the small royalty check he receives? Will she know that her music is resonating with the skateboarding community in Venice or the squishy community in Japan? (Trust me, it exists.) Probably not. So where does that leave us? A complicated, misinformation-driven, and lengthy process for creators and a time-consuming, information-dry environment for artists. That’s where Thematic comes in. Thematic is a two-sided marketplace that services both the creators and the artists. For creators, it’s a music supervision and licensing platform that curates songs based on the content being created. So you’re creating a summer lookbook based in NYC? Here are the songs that would best fit your videos. All that’s required is the provided artist promotion credit, which we track and enforce using our proprietary scanning technology. For artists, it’s a solution for getting their music discovered — a new radio model utilizing creators’ videos as the points of music discovery and distribution (the radio stations), the missing ‘next step’ for an artist after they’ve distributed their songs to Spotify and Apple Music. We provide detailed insights on how and where the music is being placed throughout our creator network to ensure the artists are armed with performance data to better their marketing and fan engagement campaigns. At the core, Thematic fosters a collaborative experience between these creatives. “But these artists should be paid for these placements!” We hear you, but we don’t agree. Thematic is not the platform for Beyoncé or Taylor Swift or Ed Sheeran — the artists who can command large licensing fees for song usage because of their prominence in the industry. Thematic is a platform for the next Beyoncé — the girl in her bedroom singing in her hairbrush, learning Garageband, and wanting to be discovered as the next big thing. This girl, sure, she can ask for a licensing fee for her new song should someone want to use it in their video. But how would a creator find out about this song? Why would a creator want to license this song from her, specifically, when they have a number of other free options or paid options with songs that are more well-known? Therein lies the problem. The demand for usage of the song in videos is slim to none, until at least the song is more well-known. So how can she get her song heard to create demand? She’s released the song to Spotify and Apple Music, but the fans just aren’t there. Thematic creates placement and discovery opportunities for up-and-coming artists that otherwise wouldn’t exist. We aim to support and promote this next generation of music artists by giving them a chance to be heard and take their career to the next level. We’re not looking to become a repository of catalogue songs, building out an immense library of stagnant songs that were trending last year. Thematic is a promotional platform, with new songs coming in and rotating out after their promo period, similar to the radio or Netflix models, to best align with the artist’s rollout. We’re all about giving the artist their best chance at making waves with their new release, giving it an opportunity to gain traction with new audiences. So, why Thematic? Because at our core we’ve always been about supporting creators and artists — providing them tools and resources to make their lives simpler and further their careers. Why Thematic? Because I’ve worked with creators, big and small, for the past 10 years clearing music for their videos in a manual capacity. Finding the perfect song for a creator’s video, acting as music supervisor, and making these creative connections between creator and artist always energized our team as we got to be a part of helping that creator improve their content, making more impactful videos. Why Thematic? Because I am a music lover with a passion for supporting artists — from streaming and downloading their new releases to buying merch and seeing them perform live as much as possible (shout out to my all-time faves Metric, who I’ve seen 14 times in concert). I want these artists to be heard, to be discovered, to be shared with others. Why Thematic? It’s something I strongly believe in, and I hope you will too. Originally published at medium.com on April 30, 2018. The inspired creative exchange. Easily find and use great songs from today’s hottest new artists in your videos.